Gamescom is the biggest gaming trade show in Europe, but major publishers don't give conferences and announcements out there the same way they do at E3. This year, that might be starting to change. The official Gamescom account announced that this year's event would feature "a new live event and stream" produced by Game Awards producer Geoff Keighley, called "Opening Night Live". "This brand-new program will feature announcements from major game publishers and independent developers, world premieres of new game footage and special guest appearances from the stars of the gaming industry," the release says. The Gamescom show has always had plenty of new stuff, either in the form of unreleased footage or new indies that can't afford the pomp and circumstance of a booth at E3. 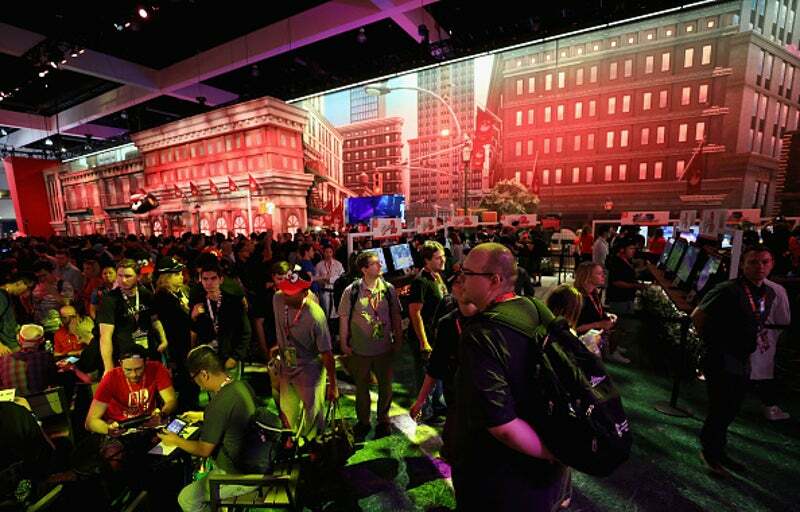 The announcements have usually been related to some form of hardware - like graphics cards - but it seems this year, particularly as more and more companies move away from E3. It's the first day of E3. I'm walking the show floor — or more accurately, oozing across it, slug-like, followed by a trail of my own sweat. I'm shoulder-to-shoulder with swathes of people. Across the way, crowds of people whoop and holler, each of them hoping to win swag they can stuff in their floor-length swag bags. 15,000 new people are in attendance this year. Opening Night Live will air from 0400 AEST / 0330 ACST / 0200 AWST / 0600 NZST on the morning of Tuesday, August 20. The Gamescom doors have typically been open to press before that time as well, so the leadup to the show should be interesting. Can't wait to see what the Doritos Pope brings to Gamescom. .......... This would have had to have been in the works for a while... I wonder if this is part of the reason that some of the mainstay conferences at E3 are dropping it this year?